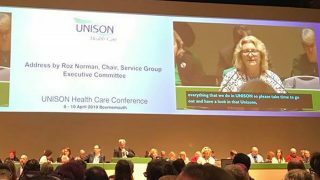 UNISON, the UK’s largest health union is warning the ambulance service is on the verge of breaking down and that the consequences on patient safety could be dramatic. Tight targets, long hours and the physical demands of the job place an enormous burden on overworked ambulance workers according to a UNISON survey released today, Friday 11 April. The survey of 1332 NHS ambulance workers reveals a worryingly high level of stress, with one in five saying they have a ‘terrible’ work-life balance. A third of respondents (34%) say they have taken time off due to work related stress in the past year. Some say they suffer in silence as they are too scared of the repercussions while others are looking to leave the profession. A large proportion of respondents added that management had taken no step to remove or reduce stress, despite having a legal duty to do so. “The Government needs to take work related stress in the ambulance service seriously or it will break down. “Our members accept that their jobs can be physically demanding and challenging. However, some now tell us they are suffering from heart palpitations, flashbacks, nightmares, migraines, depression and an overall feeling of despair. As a result, many are actively looking to leave the profession. “Millions of patients rely on ambulance staff at some of the most traumatic times in their lives, for their high quality level of care, expertise and good will. But last year, a third of ambulance workers experienced violence in the line of duty. And sadly, they are seen as easy targets especially late at night when the pubs and clubs turn-out. “Stress is a silent time bomb ticking away and it is unacceptable that such high levels are part of normal life for ambulance crews. 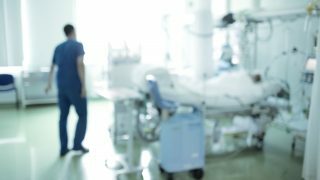 It is clear the pressure caused by funding cuts is having an impact on patient safety. Higher call out rates and lengthy waits outside A&E add to the problem. “Work-related stress is the elephant in the room. Employers can’t keep on ignoring it. We expect them to do all they can to manage and where possible eliminate the risks to the health and welfare of their workforce. “Ambulance staff who join the service will be expected to work until they’re 68. And this won’t be sustainable long term if things don’t change. According to the survey, 74% said they suffered from mood swings and irritability and two-thirds said they were sleeping too little. More than half suffered from anxiety. The survey shows that respondents were ten times more likely to turn to friends and family (60%) to cope with work-related stress rather than talk to a manager (6%). Others said they talk with colleagues (55%), a third (33%) said they eat comfort food, and 12% have sought medical help. When asked about the future, 39% said they might need to take time off sick if the situation doesn’t improve and another 42% said they were already considering it. The latest NHS staff survey showed half of ambulance staff have suffered work-related stress in the last 12 months, making them most likely to experience stress at work compared with other NHS staff. And 46% have experienced bullying, harassment or abuse from patients. 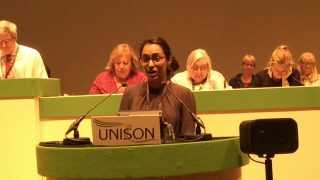 Work related stress and industrial injuries in the ambulance is one of the hot issues that will be debated at the UNISON annual healthcare conference in Brighton between 13 – 15 April 2014. 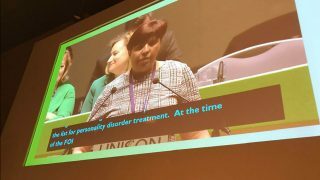 UNISON represents around 20,000 workers in the ambulance service and the online survey was sent to a random sample of 10,000. The response rate is 13.3%.